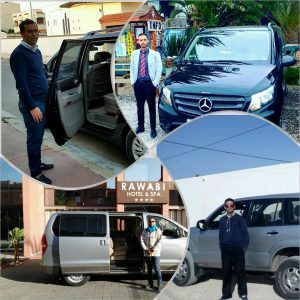 We hope that the company Marrakech Taxi Transfer will become one of the best tourist transport and raise the level of tourism services to a higher level. Facilitate the transfer of passengers from the airport to hotels as well as to different tourist sites. Offer the best service to tourists and foreigners. Boost tourism in the Maghreb. Offer jobs to young Maghreb people who have driving licenses. Credibility: by respecting the schedules of our customers and offering them an unparalleled transport service. Transparency: by determining transport prices in advance. Responsibility: we work with a great sense of responsibility to ensure the health and the safety of our valued customers by putting at their service newly revised cars driven by expert drivers. Offer the best service to tourists and travelers in the transportation field to gain their satisfaction and confidence. We will monitor all flights for delay subject to delayed, and send your driver at the new expected time of arrival.